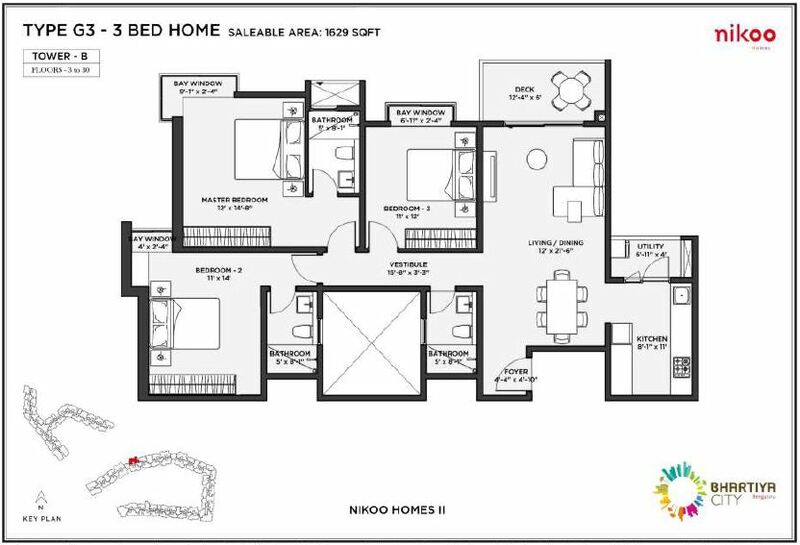 After phenomenal success of their first project “Bhartiya City Nikoo Homes Phase 2 ” , Bhartiya Group is launching the 2 phase. 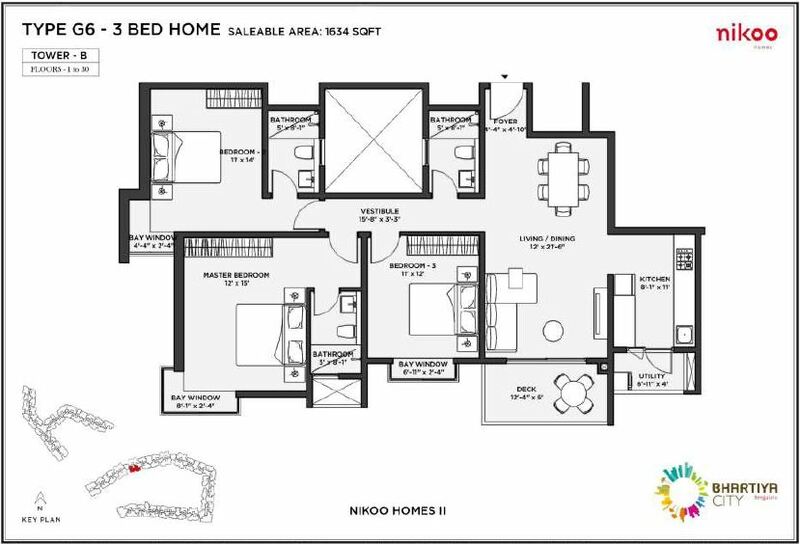 Bhartiya City Nikoo Homes Phase 2 is a adjacent to their old project Bhartiya City. Hence the name Bhartiya City Nikoo Homes Phase 2. 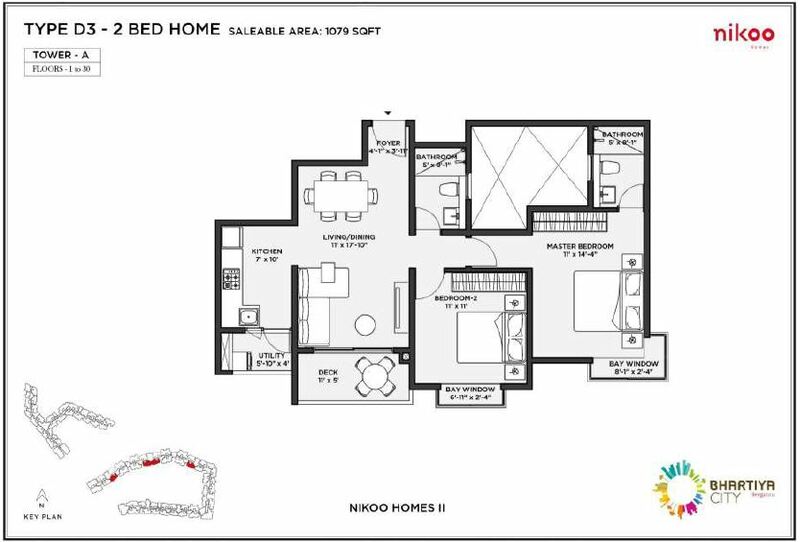 Project is located in Thanisandra main road in North Bangalore.This project will be open for booking.Builder is upcoming with tremendous project with all the modern facilities to lead the modern comfortable lifestyle. Best of best amenities is given for luxurious lifestyle.This Project is giving the best life leading factor that one can dream for. 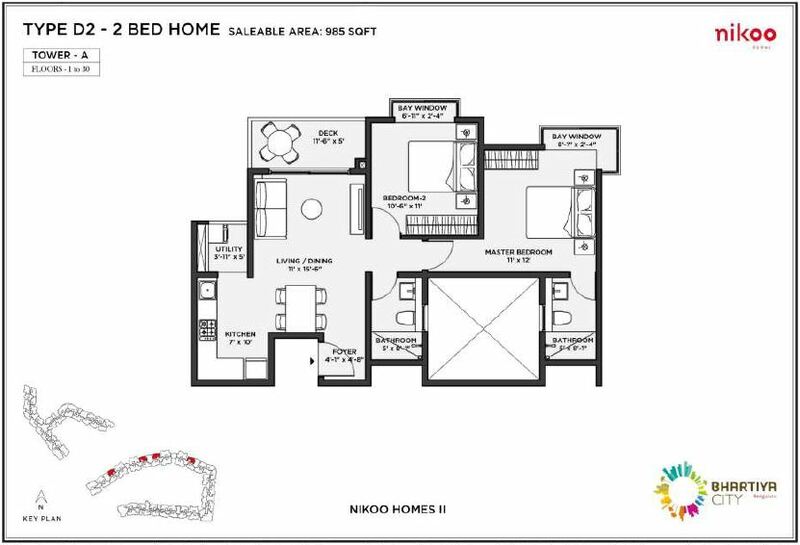 1 Bed Home : The star attraction of this compact independent home is the spacious bedroom with a beautiful bay window. With an impressive living and dining lounge it is an ideal pad for anybody who prefers a home over a hotel stay. The impressively appointed Italian kitchen and the spacious private deck will add to your quality of life. 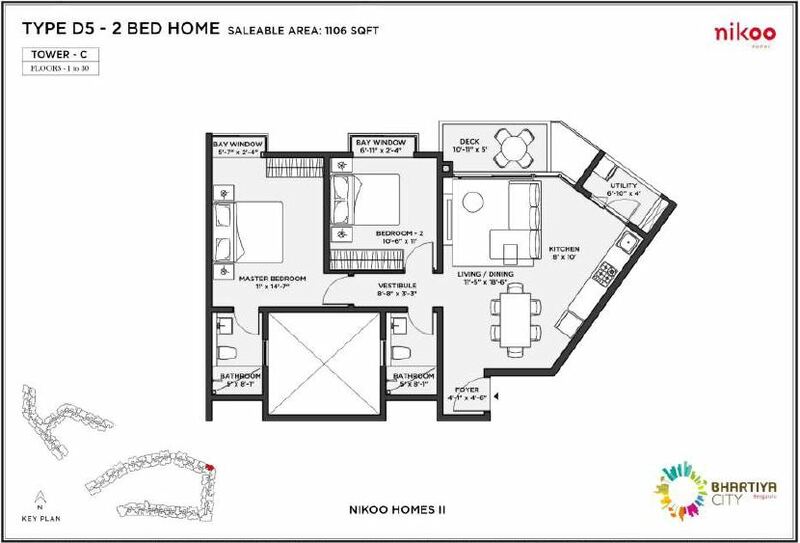 1 Bed Home with Study : This superb home has been deliberately designed keeping in mind the needs of a young Indian family. The second room that comes with a beautiful bay window can be used as a children’s room, a guest room, a study or as an office. An attached full bathroom allows you to convert the extra room into a bedroom too. 2 Bed Home : This spacious home is perfect for a nuclear family. It has two large bedrooms with large attached bathrooms. Your fast growing teens or your guests will find themselves right at home here. 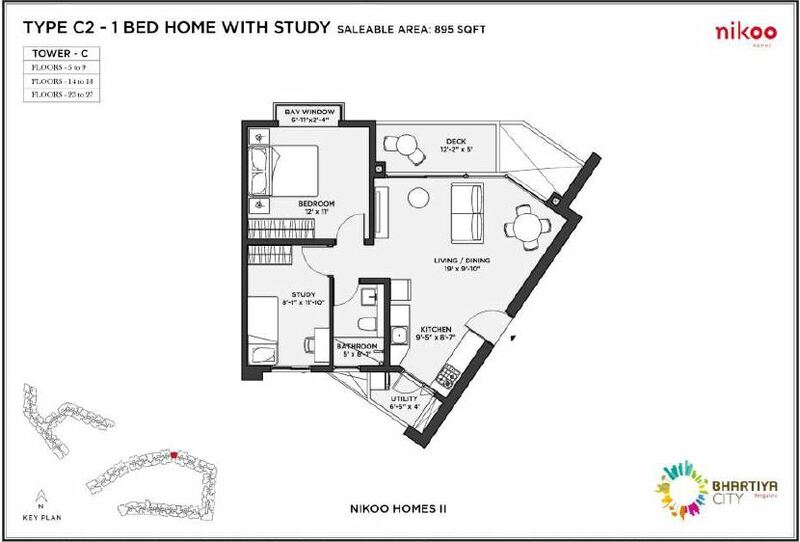 2 Bed With Study: For a family with grown-up children or elderly parents, this home will be convenient and comfortable. The third room with a bay window can be used as a children’s room, a work-place, a study or as a guest room. 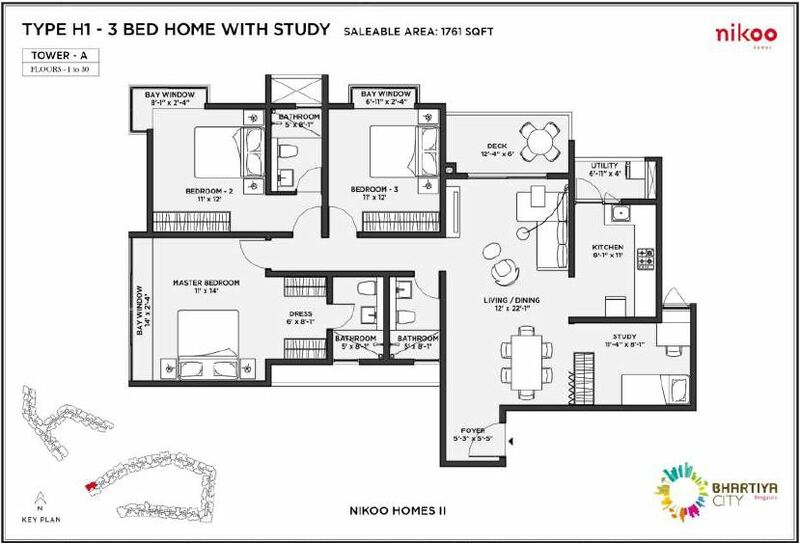 2 Bed Duplex : Our duplex is a 2 bed home with study, but split into two levels. The split-up floors give you the feeling of privacy, If you are looking to work from home, one of the bedrooms can convert into an office. 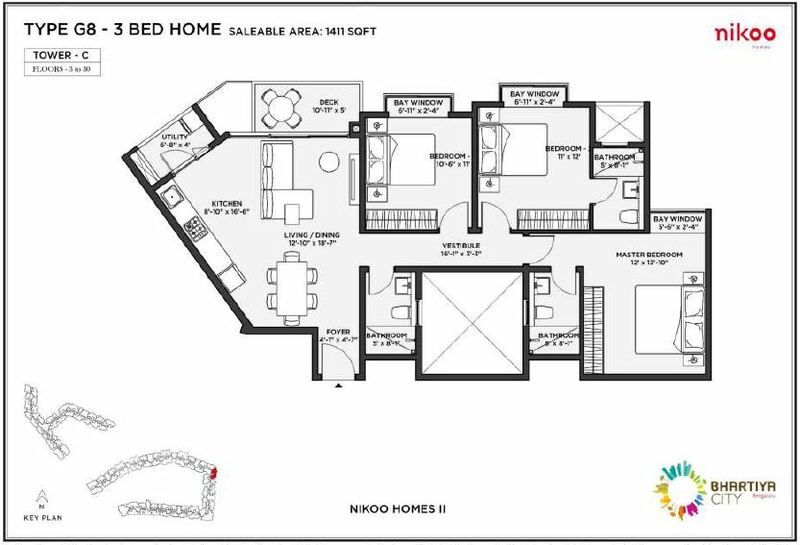 3 Bed with Staff Quarters : This is the home our architects created for large families. Each bedroom comes with an attached bathroom. The spacious dining and living lounge is designed for families to congregate. For those who prefer to have a live-in chef or maid, we have also provided for staff quarters. Lofts : Dynamic, stylish New York comes to Bengaluru in the form of these lofts. 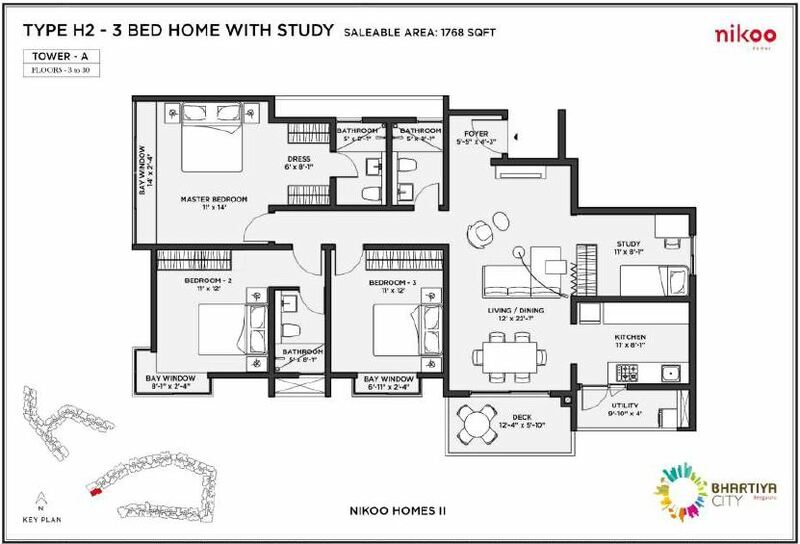 Every loft comes with two large bedrooms and a large multi-use family lounge on the upper floor. This can easily transform into a third bedroom should the need arise, for it has a bathroom attached to it. All lofts have a garden alongside the living area. The Penthouses : This is what the top of the world looks like. Designed like villas, these family homes are arranged conveniently on the two top floors of the 27 storey towers. Their unique features are the private decks, bay windows and the well-appointed Italian kitchens they come with. Bangalore one of the fastest growing hubs for IT development in the past 8 years. 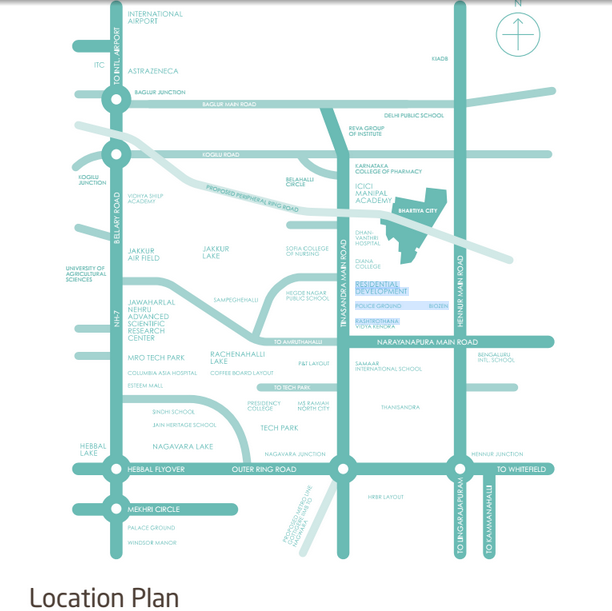 The BCIT located in Districts 4 & 5 is our plan for that future. 37 lakh sq. feet of a carefully considered environment for thriving IT, financial and knowledge driven sectors. And it has an ever convenient location- the international airport is 25 minutes away. 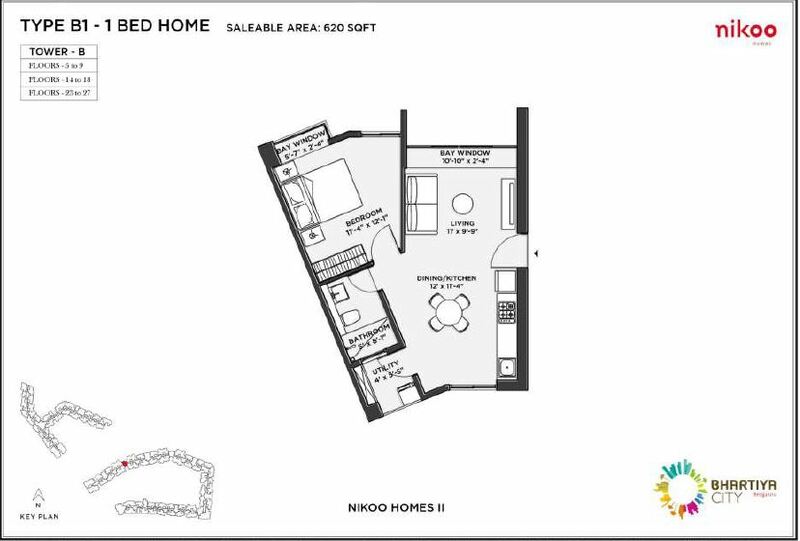 If you live in a Nikoo home, even better. That’s just a 5 minute walk away. ITALIAN FURNITURE: Basically it’s the furniture which makes the home and not the 4 walls, Hence Nikoo Homes have come up with the concept of Italian Furniture’s. Nikko Home’s collaboration with Italian Partners have brought a new touch for the Houses. 300 Gardens: Nikoo homes are nestled amongst numerous gardens of different character. 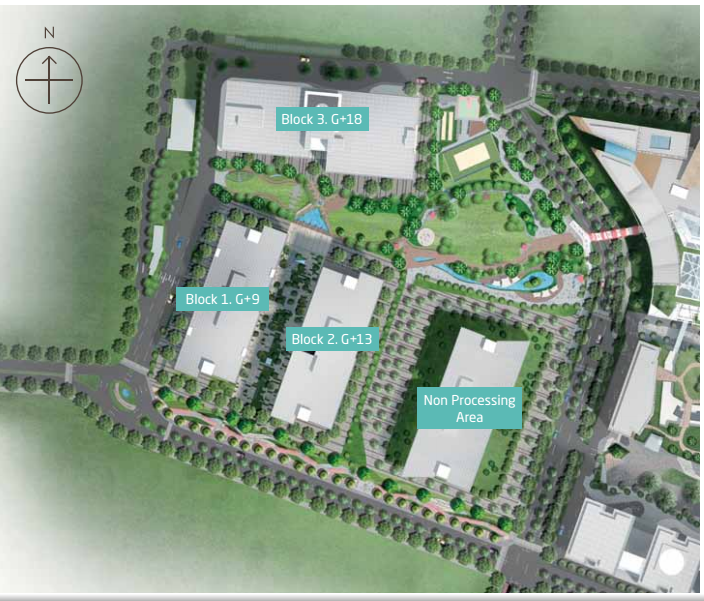 Lobby gardens, the Oval, viewing decks, the sky walk and many more. Lobby Garden: Stuffy, dark and smelly corridors are common to apartments in our country. In comparison, corridors in Nikoo homes are a breath of fresh air with gardens on either ends. Sky walk: Imagine a meandering green walkway connecting all towers on the 17th floor. Stop for a coffee on the way or meditate in a quaint corner for a few minutes. Cinema Pods:Have your own screening for an audience at one of our cinema pods, steps away from your home. The Oval: A stroll through the Oval, with its amazing views of the residential towers and the ‘Black Swan,’ will give you the feeling of being on holiday at a lush resort. With theme gardens, a variety of swimming pools, barbeque corners, places specially created for children and themed courtyards. Black Swan:A package of surprises with unmatched facilities. A rooftop Al Fresco restaurant to music rooms, a market place to an infinity pool, guest accommodation and even a spa. All this housed in one stunning building. Public Realm: Besides all the amenities of a Nikoo home, a whole City awaits you. Across the street is the Leela Hotel, cinemas, the High Street, a world class shopping and entertainment district, hospital and an International School, to name a few. Pre School: Imagine your five-year-old child being able to walk on his own to the pre-school situated within your home zone. If only every child could relish the joy of freedom this early. The Private Deck: Every Nikoo home comes with a private deck which comfortably accommodates six for a lovely dinner in the beautiful Bengaluru weather. Amazing views of a buzzling modern city come complimentary..
Italian Furniture Solutions: We leveraged our Italian connection and decades of experience in design to bring you perfectly fitted kitchens in every Nikoo home. We also offer a stylish, affordable interior solutions package. Office within the city: People move their homes to be closer to work. We did the opposite. The IT District is a five minute stroll through the magnificent Central Park. Cycling Track: Being able to cycle to work is a lifestyle rarely offered by any Indian city. In Bhartiya City, this is a reality. Get a bike and start exploring. Unlike most people in realty, Bhartiya comes from a background of design. During the course of our evolution, we struck upon a simple truth: good design makes people happy. Be it a well cut, flattering jacket or a thoughtfully built house. About the Founder : Snehdeep founded Bhartiya Group in 1987. Over the past 25 years he has charted a unique and distinguished career, reflected in the rise of the Bhartiya Group. Bhartiya Group has been the largest manufacturer and exporter of leather fashion for over past ten years, with over sixty clients including global majors such as Hugo Boss, Armani, Zara and Mango. Led by the listed Bhartiya International Ltd, the group has an unblemished history of profits and dividends over two decades. The Group’s operation span across the Asian, European and American continents, which included design studios in Italy and manufacturing infrastructure in China. Awards: Bhartiya City bags the Best Futura Mega Project MIPIM Asia Award, Infra & Realty Sutra awards. When will Bhartiya City launch Phase 2 ? What is the price per sft? I am planing to buy 3 BHK. Had been to site. All the 3 BHK are sold out. 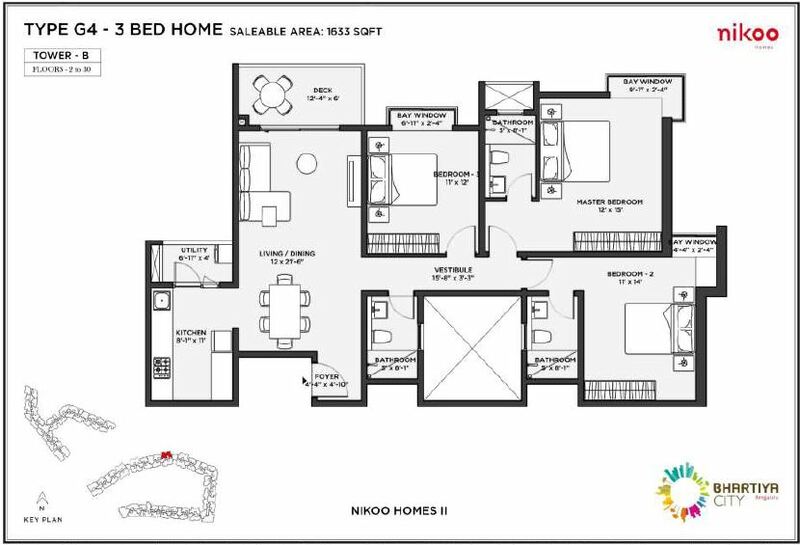 Only 3.5 BHK is available. I will have to wait and watch if I can get in Bhartiya City Phase 2.